The painting, best known as the “Egyptian,” is one of Max Beckmann's most interesting oil paintings out of the vast amount of paintings produced by the German artist. This is true both counting the creativity of the piece, but also its history. Once again can we say, “Behind every man is a woman,” and actually, this time, there are multiple. The painting “Egyptian,” with its oriental features in the woman’s appearance, does not remind us of the looks of a typical Dutch woman, and the inspiration Beckman retrieved from his interest in the rest of the world and its history is clearly apparent. 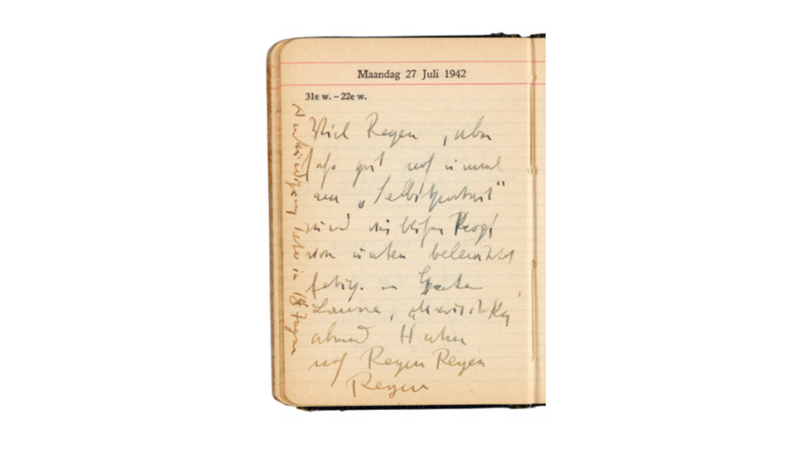 On the 27th of July 1942, Beckmann made a note in his diary about the head of a female being lit from underneath. This is thought to be the origin of the painting considered to be the most beautiful but also the most mysterious work by Beckmann. Both the creativity and innovation that Max Beckmann - and the artist association, the Berlin Secession, he was part of - is known for is accounted for in the painting. The fact that the model is lit up from underneath makes a clear example of this. But the light is only the first out of many mysterious elements hidden in the canvas. Who is the woman in the portrait? And why is it called the “Egyptian”? Max Beckmann himself has said that the female figure came to him in a dream, but let’s not stop there. The painting, named by Beckmann's friends, is an example of a portrait of the woman archetype in the most basic of senses. Not only does the woman remind us of his wife Quappi but also the beauty Nimet Eloui Bey. 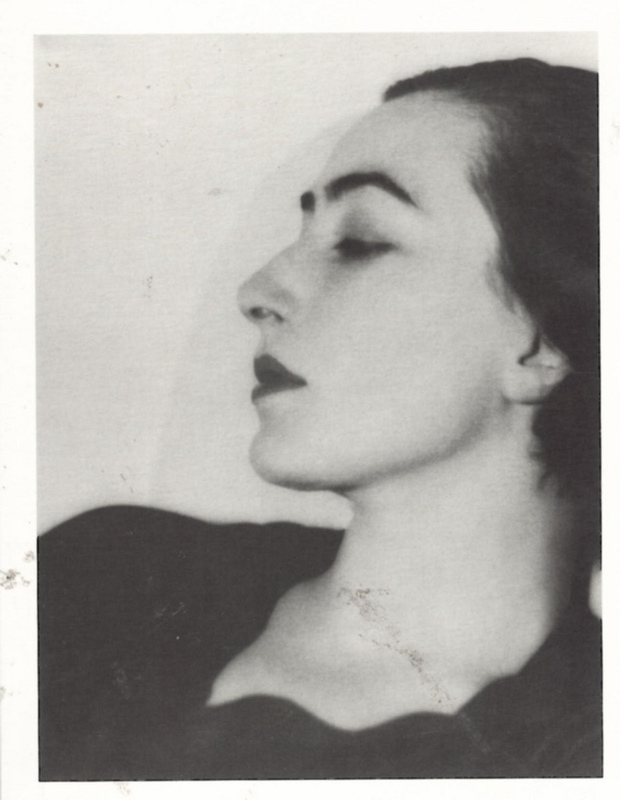 Nimet was a famous model of Egyptian descent, who posed for Man Ray and Lee Miller among others. After Nimet discovered the affair between her husband Aziz and Lee Miller, the famous model tragically committed suicide. Nimet Eloui Bey, Paris, by Lee Miller 1930. Image via Flickr. With Quappi and Nimet, but also Nefertiti - the archetype of beauty in Egyptian culture - as muses, the famous “Egyptian” was created. And funnily enough, Nefertiti means “The beautiful one has come,” an epithet, to say the least, suitable for the painting. Nefertiti. Image courtesy of Staatliche Museen zu Berlin. It is likely that not only Nimet functioned as the Egyptian muse, but Nefertiti as well. This hypothesis is based on the artist's documented interest in Egyptian art. When Beckmann lived in New York he frequently visited the Metropolitan to study its collections, in particular, the Egyptian wing of the museum. Last but not least, there is another story not to forget when we talk about Max Beckmann's masterpiece. Namely, the connection to art historian Barbara Göpel who passed away last year at the age of 95. 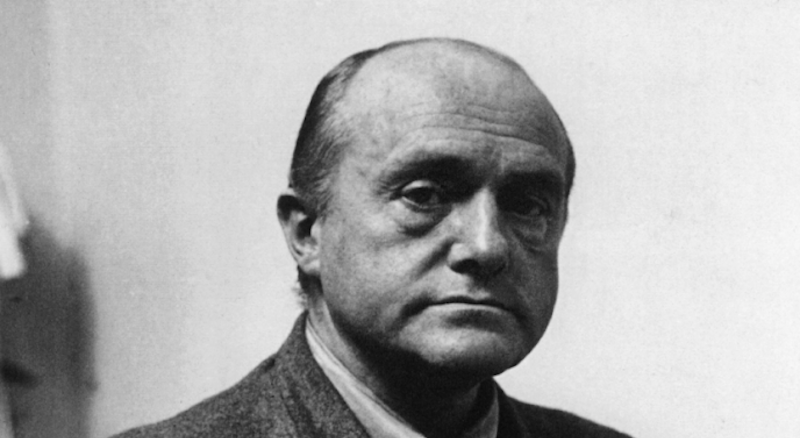 Barbara’s husband, Erhard, also an art historian, was a close friend of Max Beckmann’s. During the 1940s Erhard was responsible for the design of the never-realized Fürer museum in Linz, Austria. 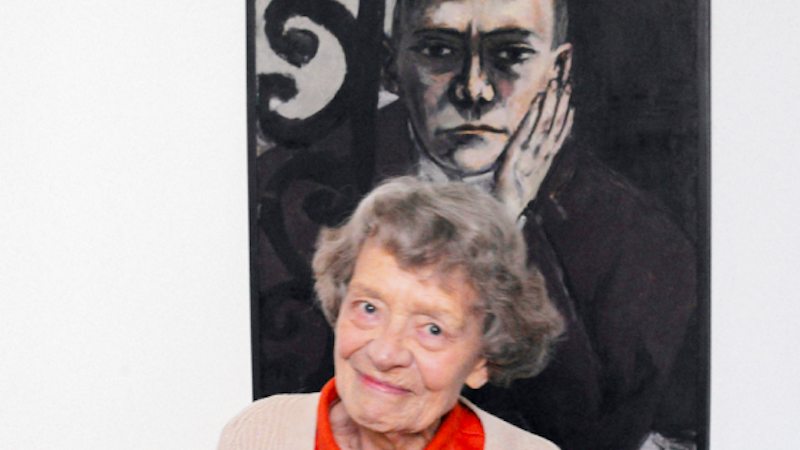 Barbara Göpel in 2011 infront of Max Beckmann's "Self-portrait at the bar". Image courtesy of Grisebach. When Max Beckmann - whose work was considered to be “degenerate art” by the Nazis - lived in Amsterdam, Erhard illegally transported many of Max’s works to Germany. This helped the artist economically and also helped build the private collection of the Göpel couple. “Egyptian” was part of the collection, and the city museum of Berlin has confirmed the painting to have been brought by the couple and not acquired through the horrible raids executed by the Nazis during the Second World War. Quappi, Nimet, Nefertiti and Barbara Göpel - four women we can thank for Beckmann’s masterpiece. The painting will be auctioned on May 31st at the German auction house Griesbach. Check out all of their lots at Barnebys!